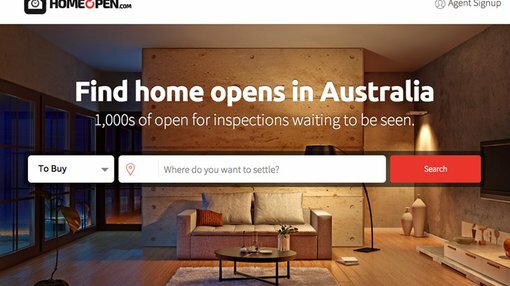 Applabs Technologies Limited (ASX:ALA) has launched its real estate app and website, Home Open. Home Open is a mobile app that offers users with easy access to properties to buy or rent. The app also provides real estate agents with a more effective way to attract buyers by specifically targeting homes open for inspection. Home Open aims to become a prominent third player to challenge realestate.com.au (77.7% market share) and domain.com.au (19.8% market share). The launch coincides with the continued success in other parts of the business. Since 1 July 2014, the Fee for Service division has won contracts in excess of $460 000, a marked increase compared to the total sales revenue in financial year 2014 of approximately $130 000. In addition to its Perth base, the Fee for Service division has established a Sydney team to cater to client demand for bespoke app solutions across Australia’s east coast. Key to the effective rollout of Home Open is signing up real estate agents across the nation, who stand to benefit from cost savings and closer client interaction than realestate.com.au and domain.com.au. Continued cost pressures from realestate.com.au has seen over 175 real estate agency offices having already signed up to the app. The app will be rolled out state by state on a staggered timeline, with a target of over 2000 agency offices to be signed up by March 2015. This represents almost one third of the 7000 total agency offices nationwide. In addition, versions 2 and 3 of the app and website are flagged as staggered releases up until April 2015. Earlier in 2014, Applabs Australia director Patrick Glovac said that ‘over the coming two to three years is the next wave of technology companies taking on these traditional internet companies. Any market which is a monopoly or duopoly we believe is under threat...’ Home Open is designed with this idea in mind, aiming for a more tailored product compared to peers. Its features include real time location data, free property listings, data collection for client tailoring as well as app customisation. While the mobile interface including RSVP function and agent-buyer messenger increases convenience and information flow to buyers, Home Open’s success rests on the scalability and growth of its user base. Home Open will be marketed and distributed through a mix of digital marketing and traditional marketing channels on a state by state basis over a staggered timeline. Despite the planned marketing effort, the app’s popularity with consumers remains to be seen, with the market being seen as highly competitive. The potential for tremendous opportunity, market penetration and revenues is accompanied by the risk that scalability is not reached, according to the scheduled timeline or if at all. The Home Open rollout will see a restructure within Applabs Australia Pty Ltd, the 100% owned subsidiary of Applabs Technologies Limited. Applabs Australia Pty Ltd, which owns the Home Open assets, intends to move all other assets into a separate entity and focus solely on Home Open. As a result, Applabs Australia Pty Ltd intends to be renamed Home Open Holdings Pty Ltd.
Further, a new CEO and CFO for Home Open is currently being sought to lead the charge for the app rollout. The appointment is planned for October 2014. Strategic partnerships and equity stakes with real estate players are also under consideration.